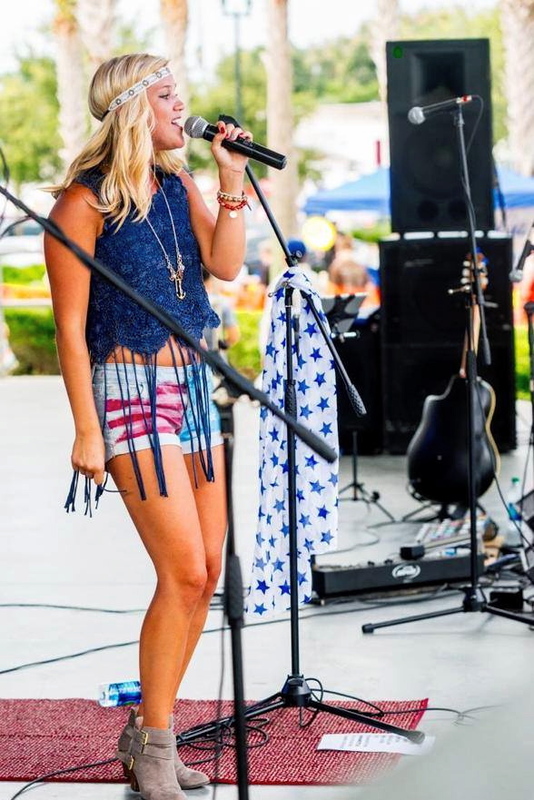 Florida native Aubrey Wollett recently released her new single Saltwater Gypsy. Described as having a "soulful sound" alongside "Florida beach vibes that will have you craving a margarita by the end of the song", Saltwater Gypsy feels like a perfect addition to any summer playlist. The drum line leads the chilled vibe and grounds the other interweaving melodic lines whilst still leaving an overall production that feels relaxed and natural. Aubrey's distinctive tone undoubtedly lends itself to tracks like these and she sounds completely comfortable - a great track, it'll definitely be interesting to hear what comes of future releases! Do you feel growing up in Florida has influenced your particular sound? Yes! Oh my gosh like Jimmy Buffett style, Sheryl Crow's got that Florida vibe and obviously growing up in Florida the things I write about are like the beach and boats and sand. I wanted to take the beach stuff like Jimmy Buffett and Jake Owen does it now but there's not really a female that does that. I kind of just write about what I know, the country genre allows you to tell stories so that's where I fit in. Your new single Saltwater Gypsy has a perfect summertime feel, how did the parts of the song come together? How was the response to the song been? It's great! Oh my goodness it really has been. I've definitely found the truer that you stay to yourself the more people want to be a part of that. I've had a lot of Internet radio stations that have reached out to me like Island Music, Tiki Pods and I'm like I love that! I want to be played around listeners that like that summertime feeling, the beach and the boat life. It's been good so far, I'm hoping it's going to continue to grow. Do you feel like the personal assistant job gave you a bit of a grounding in Nashville? How did you get from there to where you are now? Your debut EP was released almost four years ago, how do you feel you've developed as an artist since then? Yes, that it's crazy it's almost four years ago! I have definitely grown since then. I honestly feel like that's definitely the baby step where I started because I was still working for my boss when I recorded that. It was a learning experience, I was still a new writer and I just wanted to put something out there. It sounds cliche but that's where I learnt my artist self, the beach stuff. Like "Summer Never Ends" off that EP, that was my motto then. The other songs...they're good but they're definitely silly boy stories that I turned into a song that was either based on my life or my best friends! [laughs] It was kind of my diary that I wanted to show everyone through music. I think I've definitely grown, even vocally...I'd never really been in a recording studio for that long to record it so I'm used to playing live, that's my thing, to play guitar, play my show. In the studio it's just like you, your headsets and your producer and I...we're all our own worst critic and when I'm in the studio I'm like I don't like that, that doesn't sound good, I should just redo it over and over and it got when I definitely learnt you just kind of have to act like it's a live performance - for me personally - and so I definitely have done that with the music that I'm going to continue to put out. That was the biggest thing I learnt. How do you find song-writing from a personal point of view? Is it easier to work with your own experience? It's definitely easier to write off my personal stories I think. Co-writing is very popular in Nashville though I would say I'm kind of a selfish writer because I'm either getting ideas from my life or a movie I watched...I like bringing the idea to the co-write, especially based off of personal things. It's easier to write about something that you know. It's like the beach thing, literally anyone who's writing summer songs they always text me and they're like Aubrey you need to be in this write, you're the Florida girl, you gotta tell us what it's like! It's a lot easier based off of real life stories, personal stories for sure. Can we expect to see a full-length release from you soon? I'm actually going to be doing the first Friday of every month...I think I have it planned out to September for sure...I'm going to be releasing a bunch of singles just because I kind of want to just keep putting music out there and I don't want to just be like here you go! It's been a long time since I did the "It's A Secret" EP so I like the connection that I'm going to get from putting out these singles because then I get the response and feedback and you purchase one song each time so I like that connection because every song is going to connect with someone differently and I like hearing the individual responses for each song. So yeah, first Friday of every month I'll be putting out a new song...I'm excited! Does that start next month? You've toured with some of country music's rising stars, what would be your dream tour to be a part of? I'm going to say Keith Urban, I think he'd be really fun to learn from. I love him, I think he is very genuine too - I haven't met him personally but from what I've heard - he's so big and it hasn't really gotten to him at all. I wish I was as great a guitar player as he was! I'd probably be like can I have some lessons while we're on tour, you've got nothing to do! [laughs] At the same time Kenny Chesney would be right up my alley for the beach thing. I should tell him that! I'd be like Kenny listen, we would blow this out of the water because I'm a female, beach, country version of you basically! That would be awesome, I think we should tell him [laughs] I love Colbie Caillat too, I want to meet her for sure. I want to write with her actually, that would be a dream of mine, let's make this happen! [laughs] I wish it was that easy! Are there any plans to come and tour the UK? Thank you to Aubrey for her time! 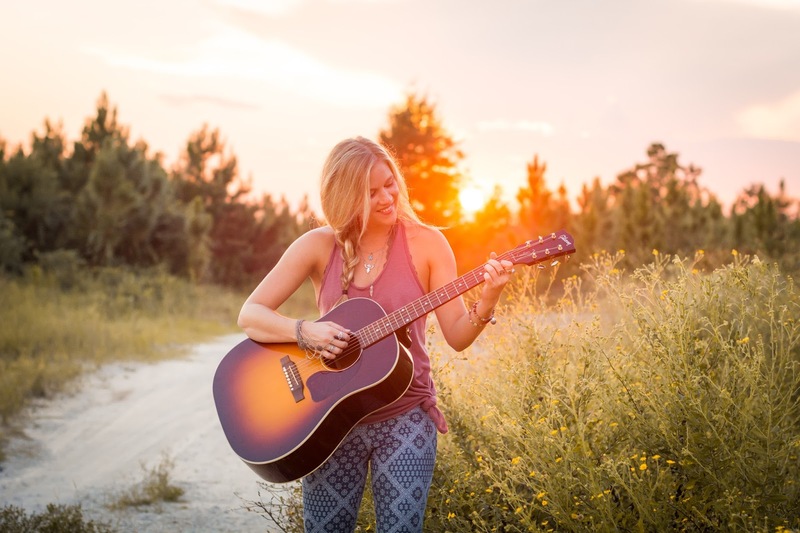 Saltwater Gypsy is available digitally and you can find more information on Aubrey and her music on her website.